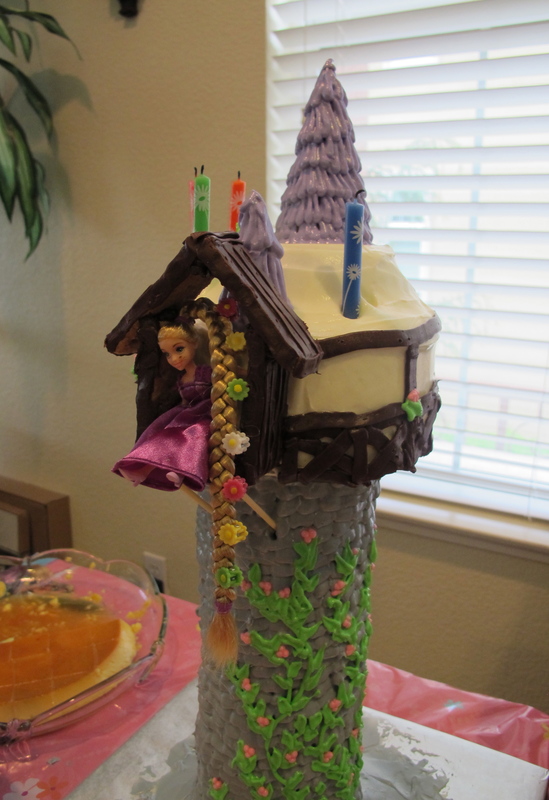 For my niece’s 3rd birthday party, I was asked to make a Tangled Tower cake. 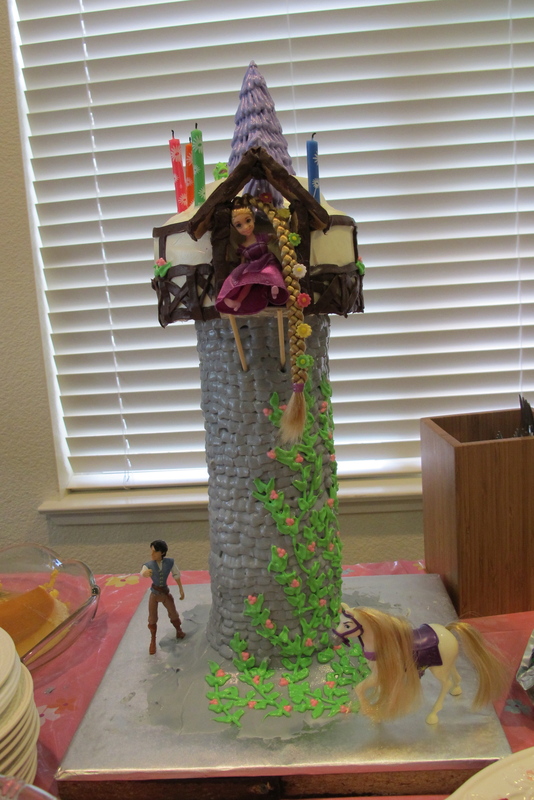 My niece had apparently watched the movie Tangled and really liked it. 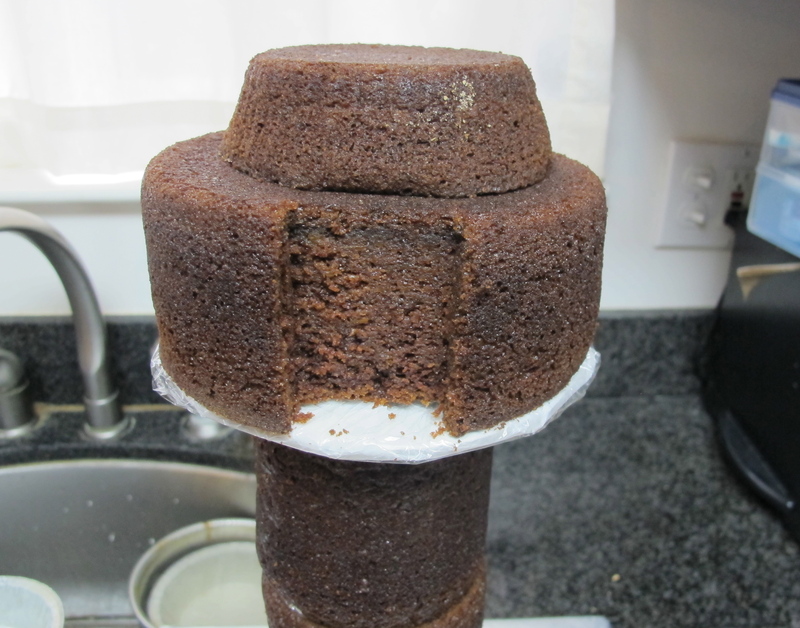 I decided to document the cake making process as I liked what I had done with the R2D2 cake. Note that I’m sporadic in doing this. It really is a function of how much time I have to complete the project. If I’m rushing and don’t have a lot of time, I probably won’t have pictures of the cake in progress. 😦 I’ll try to do better next time! 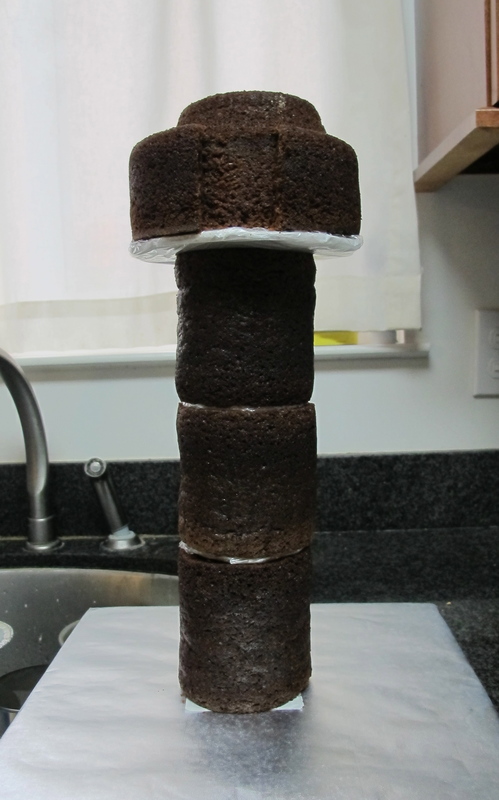 For the tower, I baked carrot cake in 3 tomato cans, one 6×3 in. circle, and 1 mini-pie tin. To bake the cakes in the tomato cans, I sprayed the cleaned/washed tomato cans with Pam, lined them with parchment paper, and then sprayed the inside of the parchment paper again with Pam. I filled the cans up to 3/4 full and baked them until the toothpick comes out clean. To make the balcony, I used graham crackers. Looking back, that was probably not the best choice as the graham crackers absorb moisture over time and crack/break/fall apart easily. In retrospect, I would have used piped chocolate or rice krispies or candy bars. Don’t worry, I was able to salvage the balcony by supporting it with bamboo skewers and 3 playing cards cut to size, washed, and wrapped in plastic wrap. Thank you so much for documenting this! I’m getting ready to make one this weekend thanks to your instructions! A few questions: What kind of candy bar would you use instead of graham crackers? Where do you find the dolls from the movie? Now that I think about it, you can probably dip the graham crackers in chocolate. 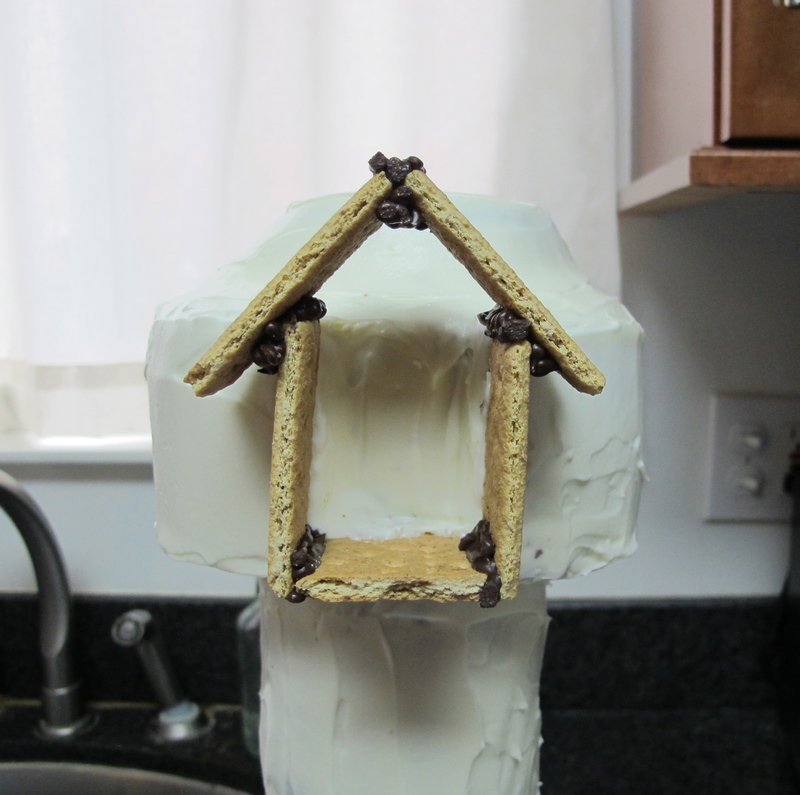 This will prevent the moisture from getting into the graham crackers. Or you can buy the keebler chocolate coated graham crackers. I bought the doll at Target most likely. Can I also say that having searched the internet over for a good tower cake tutorial, yours is the only one that is all cake and does not use gobs of fondant. I really, really appreciate that! !